← Glendale, Arizona. March 1st, 2011. 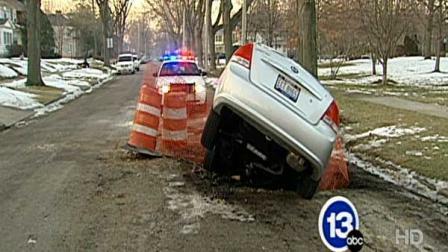 Toledo police say a massive sinkhole was clearly marked with orange barrels and fencing, but apparently a driver wasn’t paying attention! 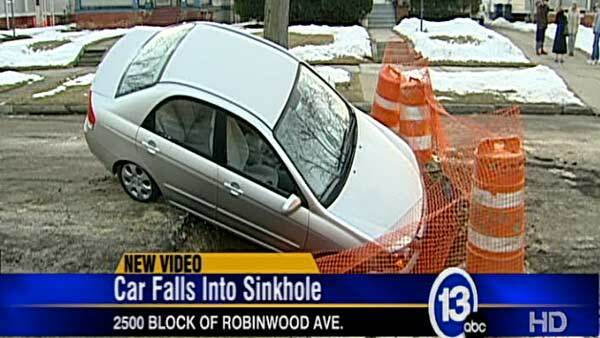 They say the woman slammed through the barriers in the 2500 block of Robinwood Avenue and ended up in a sinkhole about three to four feet deep. We’re told the driver is okay. However, she will be charged with failure to control. 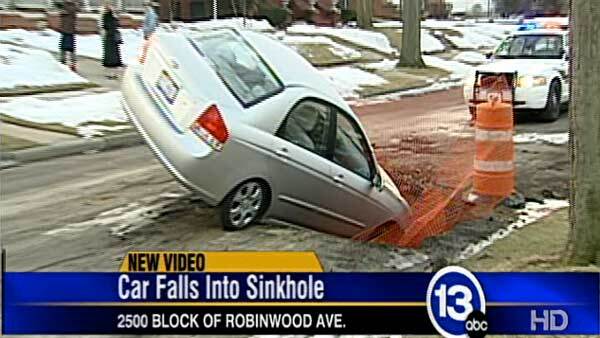 This entry was posted in Pictures, Vehicle v Sinkhole and tagged Ohio, sinkhole, Toledo. Bookmark the permalink.